Squashes are a group of vegetables with an extraordinary variety of shapes, colours, textures and tastes. You probably didn’t know that orange pumpkins, green zucchini and yellow spaghetti squash are all varieties of the same species: Cucurbita pepo. 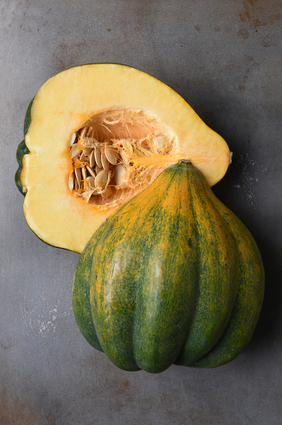 Other Cucurbita species give us butternut squash, Hubbard squash and countless other cultivars. Summer squashes are delicious in soups or on the grill, while fall varieties are more likely to end up as ornamentals—either as Halloween jack-o-lanterns or in Thanksgiving pies. But you can enjoy their health benefits all year round. A simple way to determine the powerful health benefits of a squash is by the colour of its interior flesh. The darker and richer the colour, the higher it will be in vitamin A, beta-carotene, lutein, zeaxanthin and other antioxidants. So choose butternut squash over zucchini. Squash is particularly high in beta-carotene, which is important for your eyes, lungs, heart and immune system. Beta-carotene is considered a provitamin because it can be converted to active vitamin A. Vitamin A deficiency leads to eye problems, abnormal bone development, disorders of the reproductive system and untimely death. In just one cup of butternut squash, you’re getting more than the recommended daily allowance for vitamin A! New research also reveals a type of carbohydrate found in squash is unusually high in pectin, which is linked to protection against diabetes, better balancing of blood sugar and weight loss.